Posted in Dallas Morning News Article on February 25, 2015 by DFWSki. 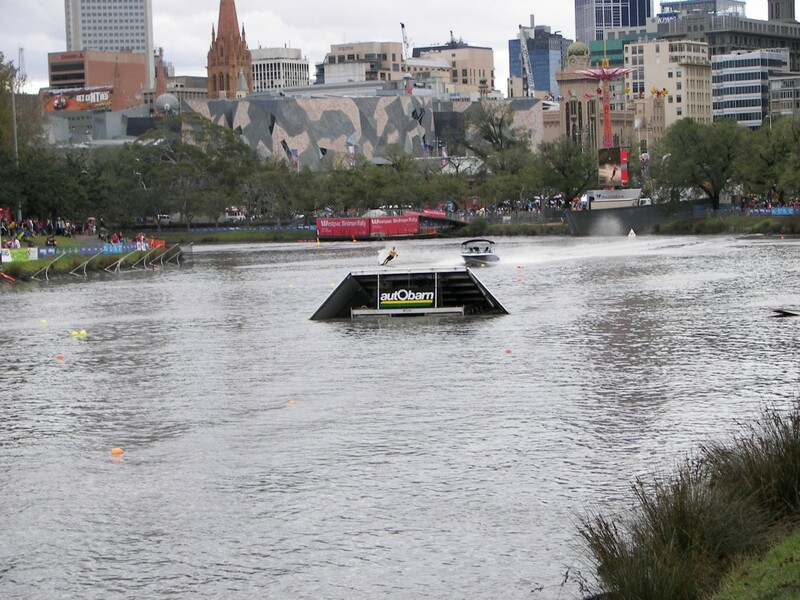 The Victorian Water Ski Association are both proud and honoured to continue to present the Moomba Masters, bringing world acclaimed althetes and officials to participate and compete in various discipines of water skiing activites. Held annaually in March, the heart of Melbourne on the Yarra River. Over 6 days and nights brings spectators and overseas visitors in their thousands, to witness this event in conjunction with the Moomba Festival. Three event compeition (Trick, Slalom & Jump) will see competitors ski exclusively behind Ski Nautique 200 Tow Boats. With wakeboard competitors behind the new Nautique G23 and the Moomba ski show review nightly helps to create the magic which is the Moomba Masters. The Moomba Masters kicks off, with the Junior Moomba Invitational for two days of competiton. Followed by the Moomba Masters Invitational Championships and activities. The Moomba Masters is acknowledged through the water ski federations world wide. The event is endorsed by the International Water Ski and Waker Board Federation. Posted in Dallas Morning News Article on February 24, 2015 by DFWSki.